Other research has shown that European honey bees have a very limited repertoire of detoxifying enzymes and that exposure to one potentially toxic compound - including fungicides - can interfere with their ability to metabolize others. 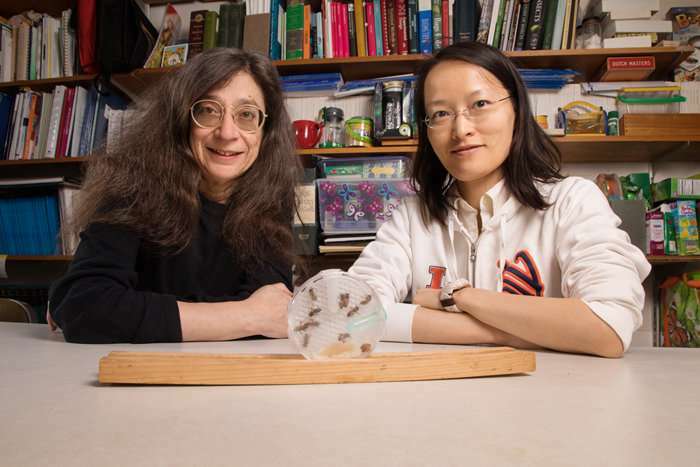 "People assume that fungicides affect only fungi," said University of Illinois entomology professor and department head May Berenbaum, who led the new research with postdoctoral researcher Ling-Hsiu Liao. "But fungi are much more closely related to animals than they are to plants. And toxins that disrupt physiological processes in fungi can also potentially affect them in animals, including insects." "That makes sense, because everything the honey bees eat has quercetin in it," Berenbaum said. "There's quercetin in nectar, there's quercetin in pollen. Quercetin is in honey and beebread, and it's a reliable cue that bees use to recognize food." To the researchers' surprise, the bees also preferred sugar syrup laced with glyphosate - the active ingredient in Monsanto's Roundup herbicide - at 10 parts per billion, but not at higher concentrations. And while the bees actively avoided syrup containing the fungicide prochloraz, they showed a mild preference for sugar syrup laced with chlorothalonil at 0.5 and 50 parts per billion, but not at 500 ppb. "The bees are not only not avoiding this fungicide, they're consuming more of it at certain concentrations," Berenbaum said. Fungicides are among the most prevalent contaminants of honey bee hives, and it is likely the bees themselves are bringing these pesticides into the colony through their food-collecting activities. While perplexing, bees' preferences for some potentially toxic chemicals may be the result of their distinct evolutionary history, Berenbaum said. "Honey bee foragers are gleaners," she said. "They're active from early spring until late fall, and no single floral source exists for them for that whole season. If they don't have a drive to search out something new, that's going to seriously compromise their ability to find the succession of flowers they need. Unnatural chemicals might be a signal for a new food." 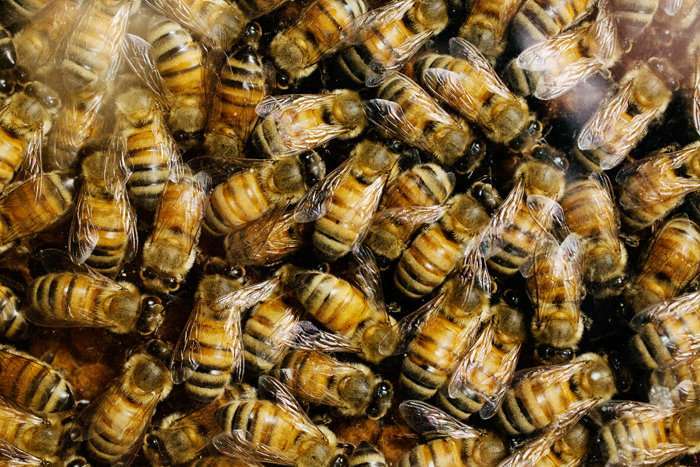 The new findings are worrisome in light of research showing that exposure to fungicides interferes with honey bees' ability to metabolize the acaricides used by beekeepers to kill the parasitic varroa mites that infest their hives, the researchers said. "The dose determines the poison," Berenbaum said. "If your ability to metabolize poisons is compromised, then a therapeutic dose can become a toxic dose. And that seems to be what happens when honey bees encounter multiple pesticides."